CAPE CANAVERAL (REUTERS) - A SpaceX Falcon 9 rocket blasted off from Florida on Monday (Dec 21) with a payload of communications satellites before the reusable main-stage booster turned around, soared back to Cape Canaveral and landed safely near its launch pad in a dramatic spaceflight first. 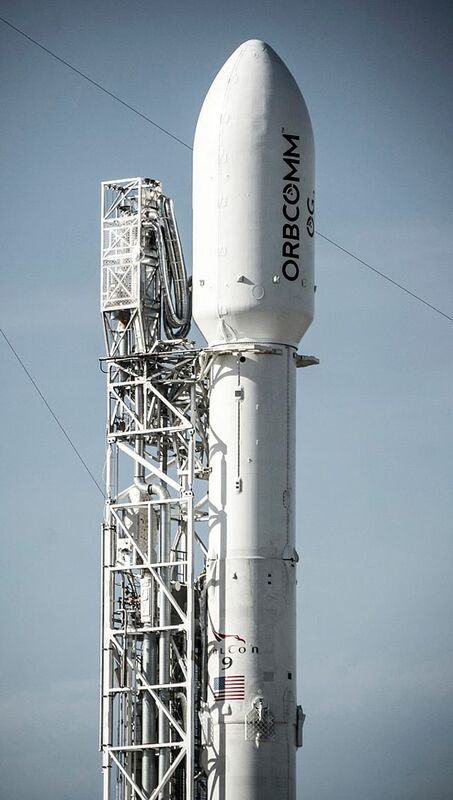 The successful mission, capped by delivery of all 11 satellites to orbit for launch customer ORBCOMM Inc, unfolded in just over 30 minutes and marked a pivotal reversal of fortunes for privately owned Space Exploration Technologies, or SpaceX, founded by high-tech entrepreneur Elon Musk. It was the first flight for his California-based company since a rocket failure in June that destroyed a cargo ship being carried on a resupply mission bound for the International Space Station. The upgraded, 23-storey-tall Falcon 9 rocket lifted off from Cape Canaveral Air Force Station at 0129 GMT (9.29am Tuesday Singapore time), with the nine-engine suborbital main stage returning 10 minutes later to a landing site south of its launch pad. The upper-stage booster continued its ascent to Earth orbit with its payload. Mr Musk has said the ability to return his rockets to Earth so that they can be refurbished and reflown would slash his company's operational costs in the burgeoning and highly competitive private space launch industry. SpaceX employees erupted in jubilation as they watched live video footage of the white first-stage booster slowly descending upright through a damp, darkened night sky amid a glowing orange ball of light to make a picture-perfect landing. "Welcome back, baby!" Mr Musk wrote in a celebratory Twitter message he posted. Rival company Blue Origin, a space startup founded by Amazon.com Chief Executive Jeff Bezos, nailed a similar return rocket landing test last month. In a seemingly back-handed compliment to SpaceX, Mr Bezos tweeted a message of congratulations to Mr Musk's company, saying: "Welcome to the club!" But the SpaceX feat, which the company had characterised before launch as a "secondary test objective," was achieved during an actual commercial mission. Minutes after blast-off, the Falcon 9's first-stage rocket separated from its upper-stage booster, which continued on into orbit to release ORBCOMM's satellites about 800 km above the Earth. Monday's deployment completed a US$200 million (S$282 million) 17-satellite network that will provide machine-to-machine messaging services on the ground - such as between retailers and shipping containers. After separation from its upper stage, the Falcon rocket's main stage turned around and fired a series of engine burns as the vehicle flew back to Earth, unfurled its landing legs and settled gently onto a newly revamped landing pad occupying a decommissioned missile site. SpaceX, which has more than 60 launch missions pending collectively worth about US$8 billion, previously experimented unsuccessfully with attempts to land its rockets on a platform in the ocean. The Hawthorne, California-based company was founded in 2002 by Mr Musk, who also serves as chief executive of Tesla Motors Inc , the electric car maker. Before Monday, SpaceX had been grounded since June 28, when a Falcon 9 rocket exploded shortly after launch during a space station cargo run for NASA. Investigators traced the problem to a faulty support beam that held a bottle of helium inside the rocket's upper-stage liquid oxygen tank. When the strut broke, helium flooded into the tank, causing it to over-pressurize and then explode. SpaceX switched to a new supplier for the steel struts and upgraded its testing program, Mr Musk later told reporters. The Falcon rocket launched on Monday also included a more powerful first-stage engine and a beefed-up landing system.